Dr. Andrew Mattson’s Burnsville optometry clinic focuses on quality, personalized eye care for both you and your family. Drop by today for an eye exam with one of our eye doctors! 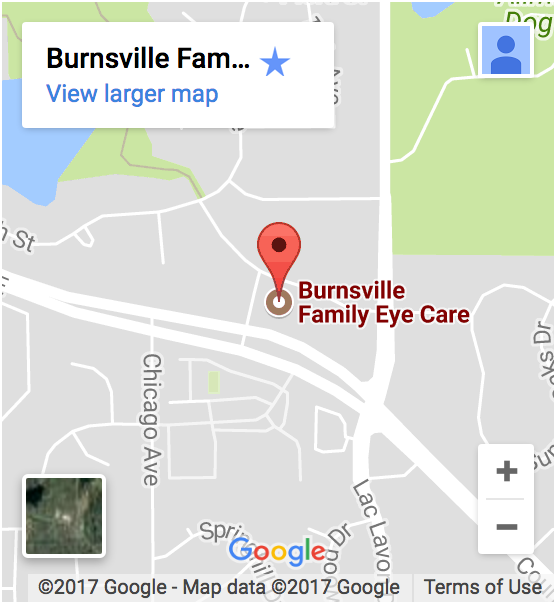 Our Burnsville eye doctors are focused on providing expert, relaxed and pleasant vision care to all of our patients. Our dedicated and caring staff will meet your every vision health need at your eye exam, while our optician staff is always focused on serving you and your needs.